Item # 317614 Stash Points: 7,495 (?) This is the number of points you get in The Zumiez Stash for purchasing this item. Stash points are redeemable for exclusive rewards only available to Zumiez Stash members. To redeem your points check out the rewards catalog on thestash.zumiez.com. 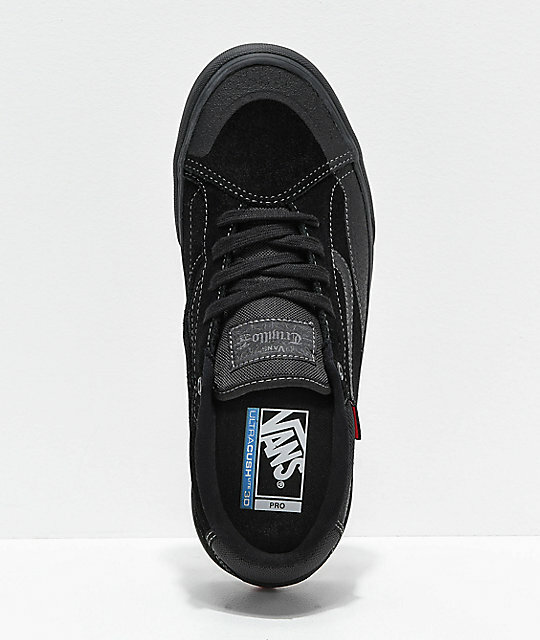 As one of Vans' most innovative vulcanized skateboard shoes, the popular skate brand reveals Tony Trujillo's signature TNT ADV Prototype Skate Shoes in an all black colorway. 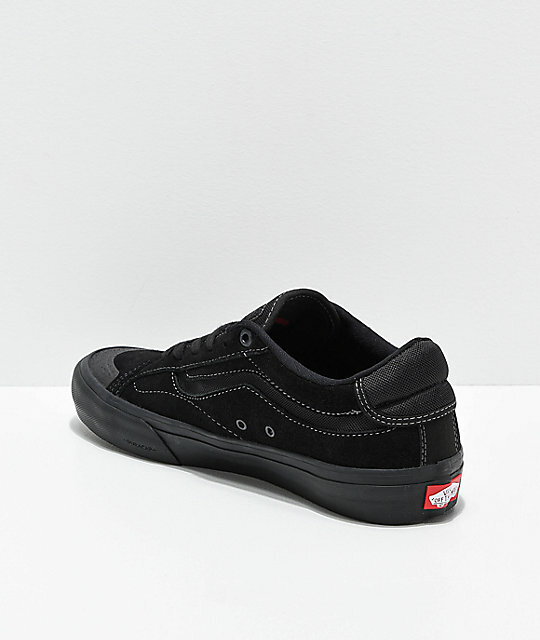 A testament to the pro skateboarder's renegade style, these sneakers offer the look and feel of Vans' classic footwear, while incorporating an UltraCush LITE 3D insole for ultimate response and impact support. Built with the brand's signature Pro Vulc Lite construction, Tony's shoes offer a skate-focused design that remains slim while still providing the comfort and cushioning needed for daily wear. 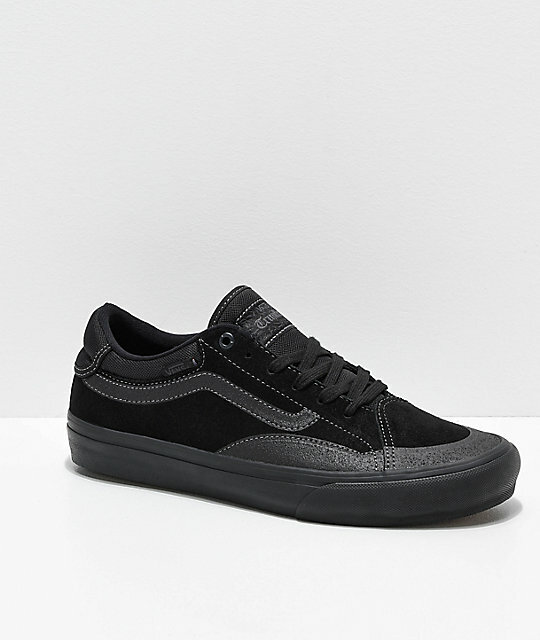 TNT ADV Prototype Blackout Skate Shoes from Vans. Signature Tony "TNT" Trujillo's pro model. Suede upper with mesh trim on tongue and collar. Duracap rubber reinforcements/panels along the toe box and ollie panel. Double stitched details throughout for added durability. Reinforced metal eyelets at top of lace closure. Vans UltraCush LITE 3D insole for responsive feel and impact support. Pro Vulc Lite vulcanized outsole for flexibility and board feel. 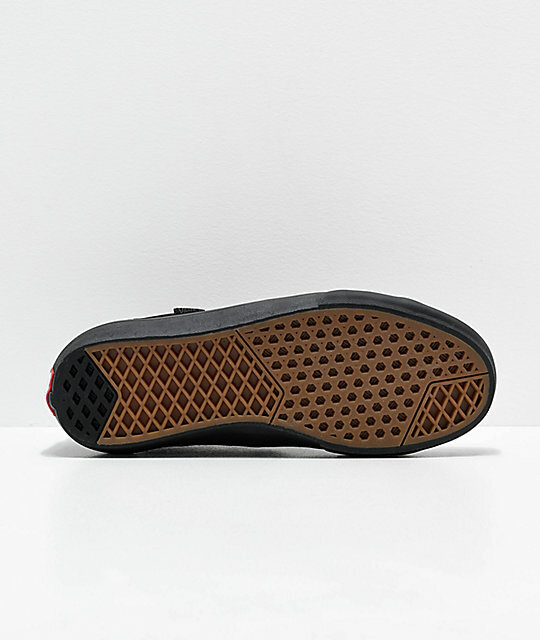 Vans signature waffle tread pattern for grip.